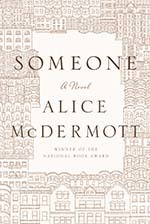 Good fortune has followed Alice McDermott '78G ever since The New York Times praised her first novel, The Bigamist's Daughter, as the work of a "a very tough-minded and talented young writer." Her subsequent books have included the National Book Award winner Charming Billy and three finalists for the Pulitzer Prize for fiction. And her new novel Someone (Farrar, Straus and Giroux, 2013) has brought more acclaim. Long-listed for the National Book Award and short-listed for the National Book Critics Circle Award, it has appeared on many best-novel lists for 2013. McDermott seems to have rejected from the start the idea that the way to achieve literary renown is to write about alienated young hipsters who make a religion of consumerism. Instead, says book critic Susan Farrell, she has won a reputation as "the premier chronicler of the ordinary lives of Irish Catholic New Yorkers in the twentieth century." Someone begins in Brooklyn, but not the newly fashionable Brooklyn that has a shop devoted solely to artisanal mayonnaise. Instead, a modest daughter of working-class Irish Catholic immigrants tells the story of her life from her childhood during Prohibition to the brink of old age. Marie Commeford has always worn glasses, and they are a metaphor for her effort to see the reasons for often unfathomable experiences, including her out-of the-blue jilting by a suitor, her job as a greeter in a funeral home, her marriage and the arrival of her four children, and her adored brother's decision to leave the priesthood for reasons he never fully reveals. McDermott has described this plot as the story of an "unremarkable woman." But one of her gifts is her ability to infuse familiar events with layers of meaning, and Someone is full of characters with physical or emotional wounds whose lives indirectly pose the question: What does it mean to live with a disability? McDermott never moralizes but rather lets her answers unfold slowly, as a critic wrote in The Washington Post, "through small moments of beauty and vividness." Some of us read people better than others. All of us are detectives when it comes to understanding other people. We continually search "for clues that reveal an individual's intentions," says psychology professor John D. Mayer in Personal Intelligence: The Power of Personality and How It Shapes Our Lives (Scientific American/Farrar, Straus and Giroux, 2014). But research suggests that not all of us are equally skilled at decoding the signals. Or, as Mayer puts it, "Some people can pick up clues to personality that others miss." Why do some of us seem to excel at what Mayer calls "reading people"? And can others cultivate that skill? 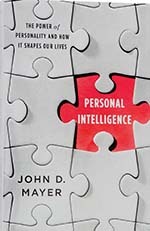 Mayer's new book looks beyond emotional intelligence—a term coined in the groundbreaking article he co-wrote with Peter Salovey (now the president of Yale University) in 1990—to argue that "as important as emotions are, they have little to say about people's intentions, traits, motives, or life stories." More helpful to understanding all of those is what he calls "personal intelligence," which is broader than emotional intelligence and includes such skills as the ability to read facial expressions, to anticipate how others will react, and to make good decisions for ourselves accordingly. To inquire about book reviews, email alumni.editor@unh.edu or call (603) 862-1239.